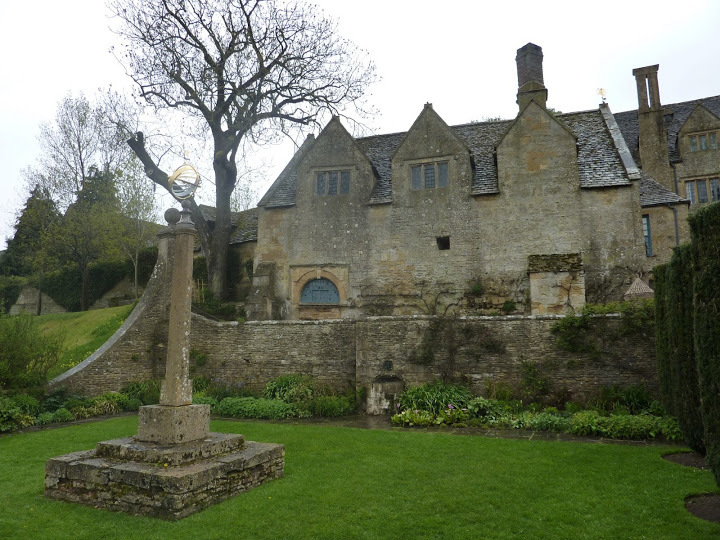 A Tour around the Cotswolds, we visited Henley in Arden, Stratford-Upon-Avon, Broadway & Snowshill Manor. Gail found a little village called Henley-in-Arden on some program she watched in the week. We planned a Visit to the Cotswold town and set off early sunday morning. I was worried that it would be packed with Bag shops or some other merchants that would try their hardest to extract cash from my wallet, however I was relieved when we got there and found the place shut. The town is full of Historic buildings and is worth walking along the main street looking at the old timber buildings they are not hard to find. It was a shame the place was shut, it was full of shops and Gails plans were swiftly stopped, however she would strike later on in the day. We got back into the car and headed into Stratford-upon-avon a short drive from the village, it is always busy and we could have a good look around, whoopee I love shops!!!!. Half of China had descended into Stratford_upon-Avon armed with cameras by the bus load. There were some open air markets near to the river with many different food stalls, and Gail found another Kitchen shop to go into. A walk along the river Avon would be great on a summers day but today it was cold and wet, however the Royal Shakespeare Theatre looked nice. In correct Shakespeare fashion the Merchants of this town milk it big time you cannot walk down a lane, sit on a seat, drink a pint without a plaque stating that the Bard himself had once done the same, in fact I think he even had the same Hotdog as I did however I think he got it cheaper thats for sure. It is a great place to spend an evening but be prepared the merchants will have a "pound of flesh " in this town. The manor house lies a couple of miles from the popular village of Broadway, it fell into the hands of the National Trust in 1951 when the owner a Charles Wage left it to them, with all of the contents. 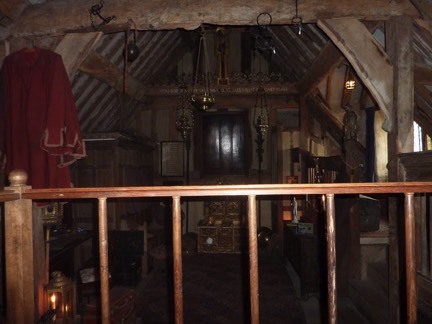 He was an Architect and a collector of anything that was collectable and proceeded to fill the house with loads of strange things, in fact there was no room in the house for him and he lived outside in one of the out buildings . The main collectables on show are a collection of Japanese Samurai armour dated from the 17th century, only problem was the very low light within the house and it was hard to see some things in detail. In his time he collected over 22,000 objects and some of them are works of art and the craftsmanship involved is amazing . Shortly after looking through the many rooms on display we made for the restaurant where I had a nice clotted cream cotswold Tea, nice to get out of the wind and rain, we will try to walk the surrounding hills as soon as the weather changes, I hope.